Without further ado, our newsletter. Mat Kerekes, famously known as frontman of emo/ indie rock band Citizen, released his first work since his debut album from 2016, Luna & The Wild Blue Everything. "Ruby," the new single, is the first single off his forthcoming album of the same name, and was released along with a 2019 North America tour (with a March 21 date in Los Angeles). Ruby is more upbeat than we’re used to for Kerekes’ side project, but the new sound shows a positive growth in his songwriting style. This is all quite different from what we’re used to from him, but in this case, different is good, because Kerekes showcases his versatility as a songwriter in Ruby. The song holds onto Kerekes’ somber undertones, but adds uplifting melodies and chords, combining two of the strongest areas of this song. The Midnight Contender ended the erratic 2018 with “ctrl+alt+delete,” bringing a tone equally unsettling: one of blunt self-assessment, pain, and uncertainty. Ritwik Krishnan previously fronted Bay Area-based alternative rock band The Cautious. As The Midnight Contender, he released his first tape Midnight, When Are You Coming Home? in 2018 and continues serving his fans singles and collaborations with artists between the Bay Area and Los Angeles. I am lucky to call Midnight a friend of mine. “ctrl+alt+delete” begins with beautiful fingerpicking, the foundation of the track. This intimate instrumentation allows the listener to focus on Midnight’s raw, heartbreaking lyrics. He sings, “Break myself down, piece my piece / Learn about what’s wrong with me / Hard reset / My head wiped clean.” His imagery forces empathy upon the listener, perhaps reminding them of when they have similarly wished to stop thinking, feeling, or being the person they are. Two light drum builds give the song movement, emphasizing his few lines beginning with a first-person subject: “I don’t like who I’ve become” and “I don’t know myself at all.” No sugarcoating, no waxing poetic; Midnight is honest in his distress. The drumming slows to a stop at the end of the track, and Midnight’s insecurities do not resolve with a happy ending. The listener is left absorbed in his emptiness. Midnight capped last year off with an elegant guitar riff and lyrics so raw and real, they just might shatter your heart. A steady, gorgeous collection of instrumentals from Gautier Vizioz that immerses one in a delighting and frankly calming array of frequencies. Vizioz is a French producer who provided most of (if not all of) the sensational production for Bonnie Banane’s stellar EP from 2015, SOUER NATURE. Here, without leading vocals, we get a better sense of the electronic palette from which Vizioz crafts tracks. Nearly every song has a thumping, low-down bass track that grounds the ecstatic snares and melancholic bell-tones, amongst other dubbed-out percussion. “Voutes” and “Traffic” are good examples of this ambient plodding-along. These tracks are methodically precise in their timing. This doesn’t render them sterile or clinical. Instead, Vizioz fills our ears and surprises with subtle variation through repetition. 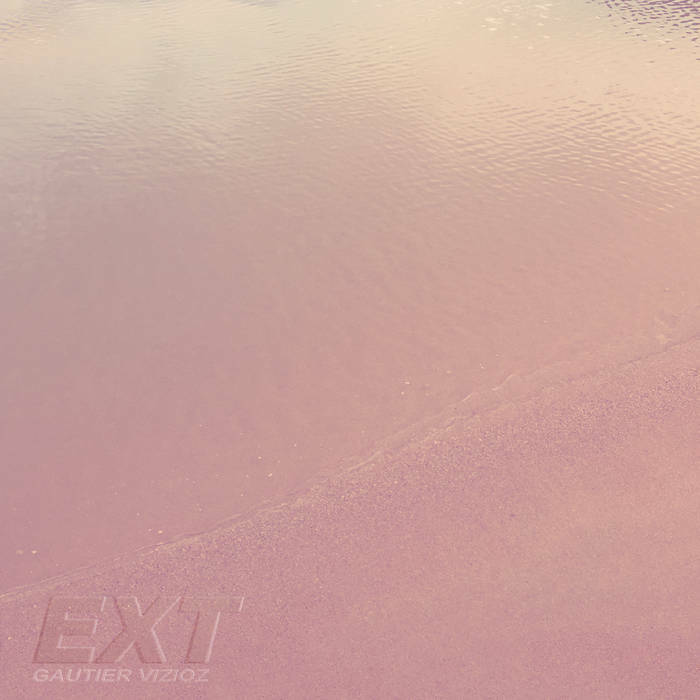 “Ext” is the shortest track, but also the slowest burn. Expression finds itself, almost too late, synthesized in a plaintive, whimpering riff. Take a listen. Money, luxury, and women…Le Regard Qui Tue by Varnish La Piscine begins with the opening moments of La Avispa (The Wasp) by Rainbow Orchestra, sampling a krautrock classique that really sets the tone for this beautiful collaboration. Monaco, 1966. As a “FILM AUDITIF,” Le Regard Qui Tue takes the time to introduce the cast, amongst which Bonnie Banane and Rico TK hold prominence. Sidney Franko, who reads as the hardboiled detective/self-narrator. Gabrielle Solstice, the one hope against corruption? Angel De Jesus. Who are these characters? What is their true motive? Utilizing noir motifs and film genre-stuff (real technical I know, but what’s a girl to do? how do you create aural mise-en-scene?! I didn’t go to film school!!) really puts you in the place of characters and the stakes of their lives. The narrative oscillates between French and English. I don’t speak or understand French fluently, but I can pick out some words. A lot of the instrumentation really reminds me of Flower Boy, especially in the first half of the album. Strings, orchestra, and harmony are coming back in a big way. Or maybe never left. I’m not gonna claim authority on this subject. Anyway, this album is hard. I need to check out more from Rico TK. This “audio film” is funny. It has many well placed references (like on DAFT PUNK.. Interlude where there is a "Harder. Better. Faster. Stronger.” chorus). Please give it a listen when you get the chance. Also I continue to stan Bonnie Banane. That is all.